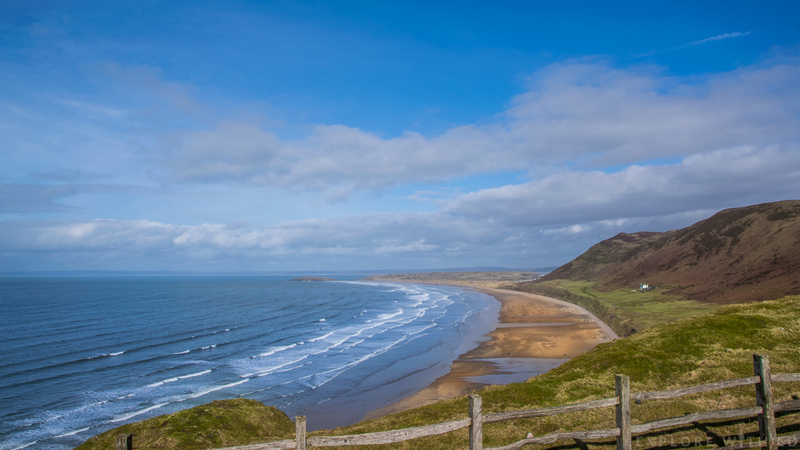 Recently named Britain’s most beautiful city, Swansea and the bay area arguably holds Britain’s best coastline, including the world renowned Rhossili Bay. The coastal city feels open and bright and I instantly feel at ease when I spot the glistening sea and sweeping views over to the Mumbles. 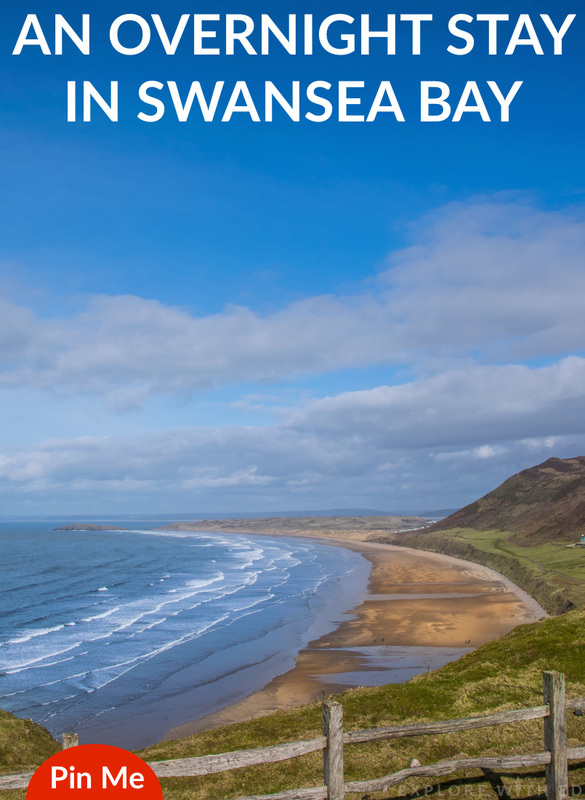 If you’re at a loose end one weekend, have a school holiday to fill or visiting from abroad, here’s some inspiration for your own #SwanseaBayAdventures based on my two-day itinerary. As guests of Visit Swansea Bay, I was invited to begin my adventure (with fellow blogger Miss Nicklin) at Verdi’s. 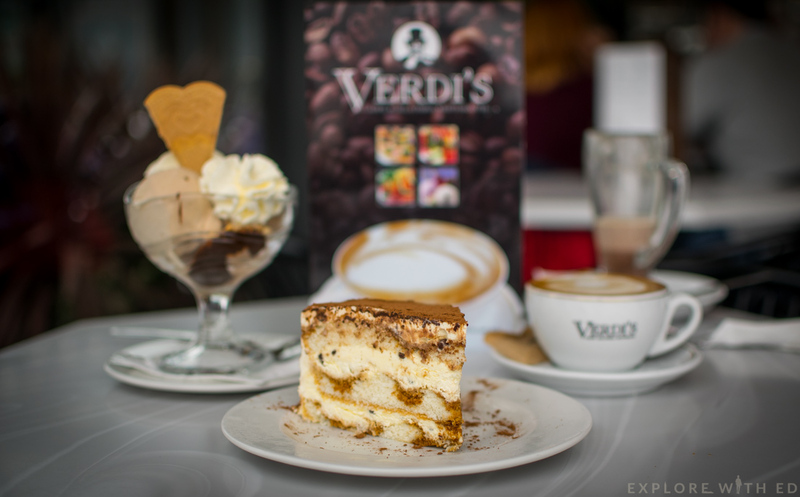 I’ve visited Verdi’s several times over the years so knew what delights were in store for us. 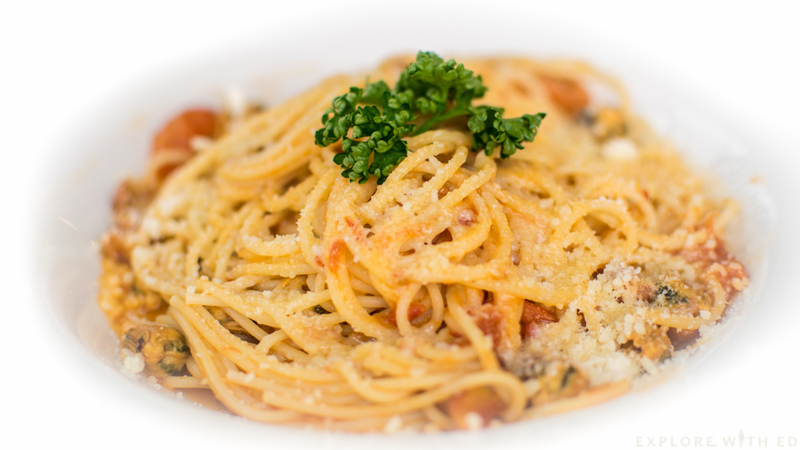 Firstly, the family run Italian café sits right on the Mumbles coast with panoramic views right across the bay. On a good day you can sit outside and breathe in the fresh Swansea air as you lick scoop after scoop of creamy gelato. Verdi’s import all their menu from Italy or provide unique homemade delights like Tronchetto, a semifreddo dessert with alchermes liquer that you’ll only find at their café. If you’re after scrumptious cakes, freshly made sandwiches, ice cream or pasta – look no further! Following this we enjoyed a walk down to Caswell Bay, one of my favourite beaches from childhood. 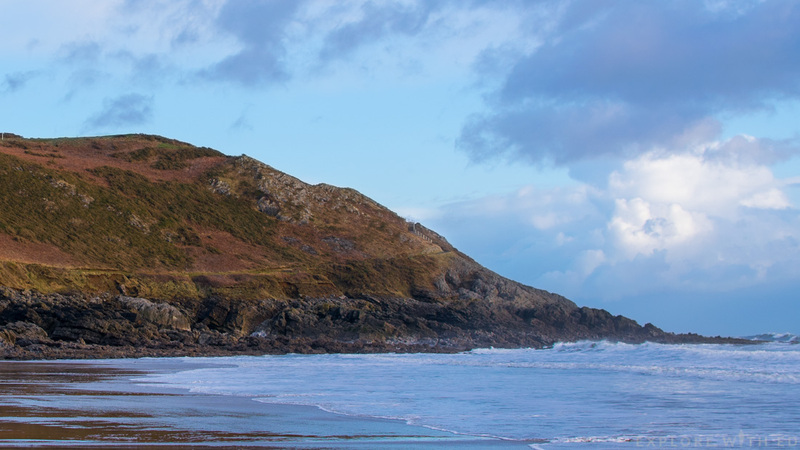 There’s a lovely trail you can follow from Langland to Caswell that hugs the hillside overlooking the sea (click here for a map guide). This walk will take you approximately 1-2 hours. Caswell Bay is enclosed by rugged hills and offers a small café, seasonal stalls and convenient pay and display car park. On our visit, after dodging a typically Welsh downpour, we almost had the beach to ourselves besides the occasional dog walker and surfer. After drying off our soggy shoes (we got a little close to the encroaching tide), we smartened up for dinner at the wonderful Grape & Olive restaurant. 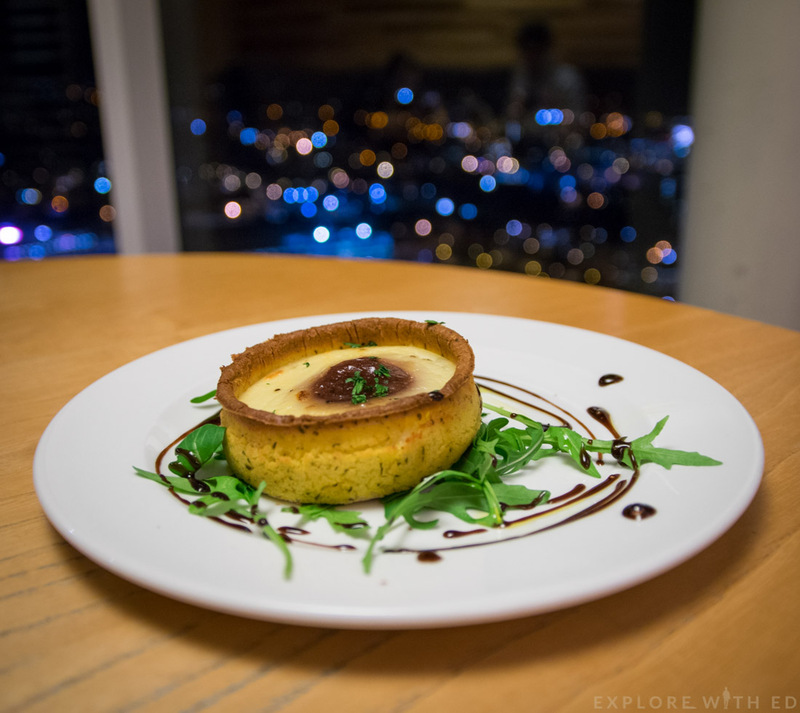 Situated at the top of the Meridian Tower (the tallest building in Wales), Grape & Olive is an award winning bar and restaurant with locally sourced menu offerings and an extensive wine list. Taking an express elevator up 28 floors, we were shown to a booth that offered breathtaking views of the city. During the course of our meal, our eyes were constantly drawn to the twinkling lights below. 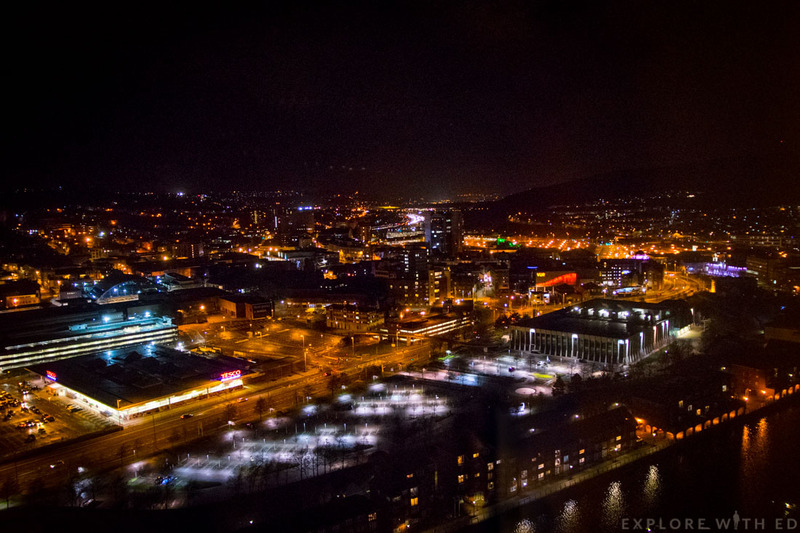 It’s Swansea as I’ve never seen it before and I soon remarked how we could be in some swanky bar in the heart of London. I began with a Smoked cheese & caramalised onion tart featuring a warm and gooey cheese filling, tangy onion centre and crumbly pastry. For mains Miss Nicklin enjoyed a Rack of lamb with Dijon mustard crust, crushed new potatoes and wilted greens and I tried their Celtic Pride 227g Fillet steak with chips and a jug of a thick, creamy peppercorn sauce. My steak was cooked as requested and the chips were thick-cut, golden and crunchy. The restaurant has a very upmarket feel, so I was surprised to here it’s run by Brains as I typically associate the beer brand with cosy pubs and comfort food. 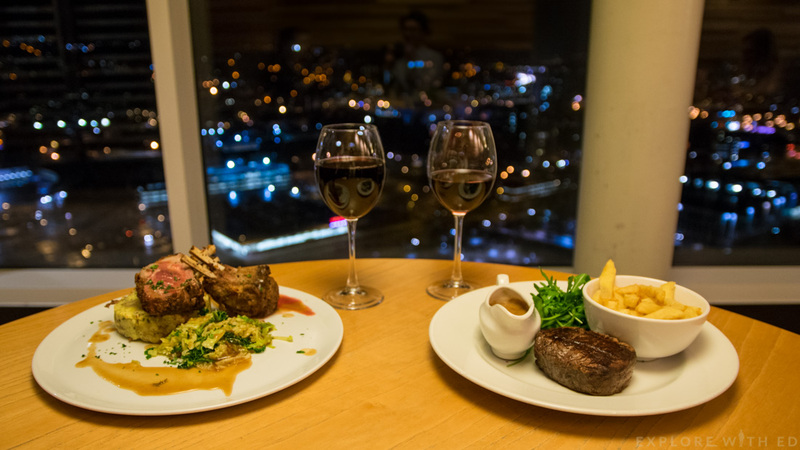 A three-course A La Carte meal will set you back around £35-40 per person, not too outrageous for a special occasion or date night (don’t forget you’re paying for the views too). 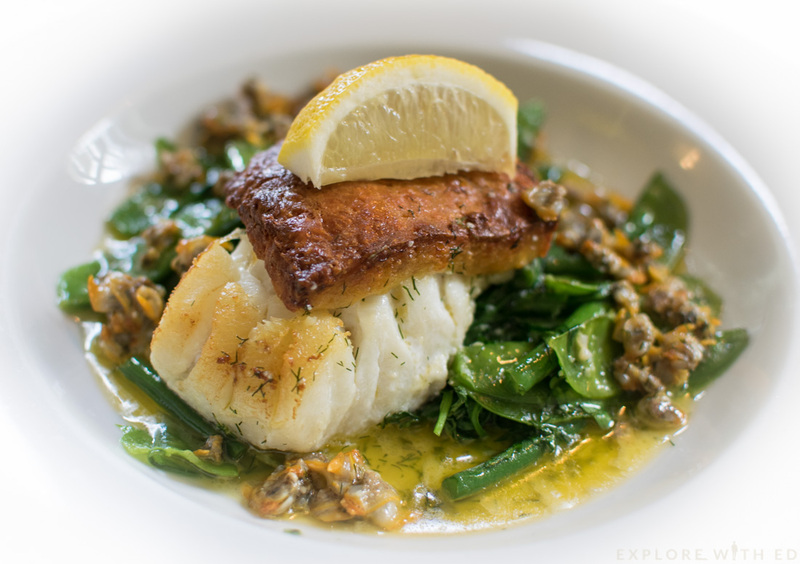 Before 5pm they also currently offer two courses for £11 on their lunch menu (approximately €15 or $16), great value! 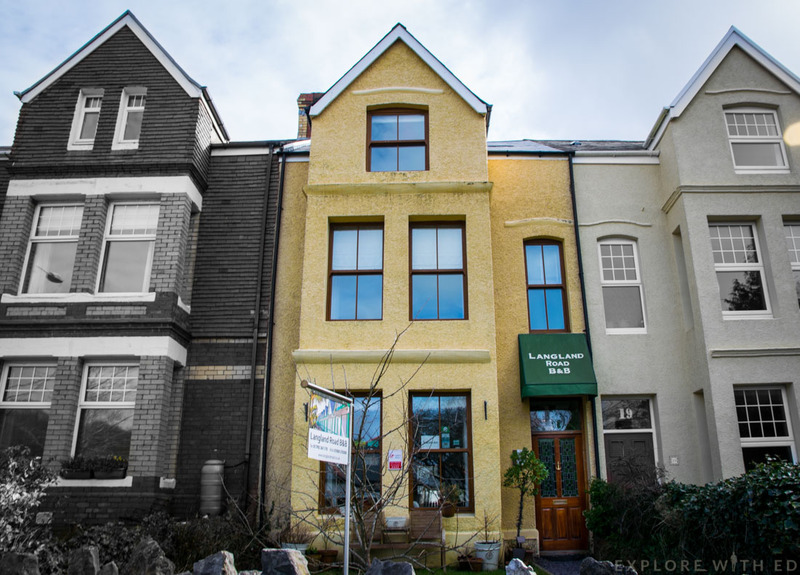 Visit Swansea Bay put us up in the lovely Langland Road B&B. 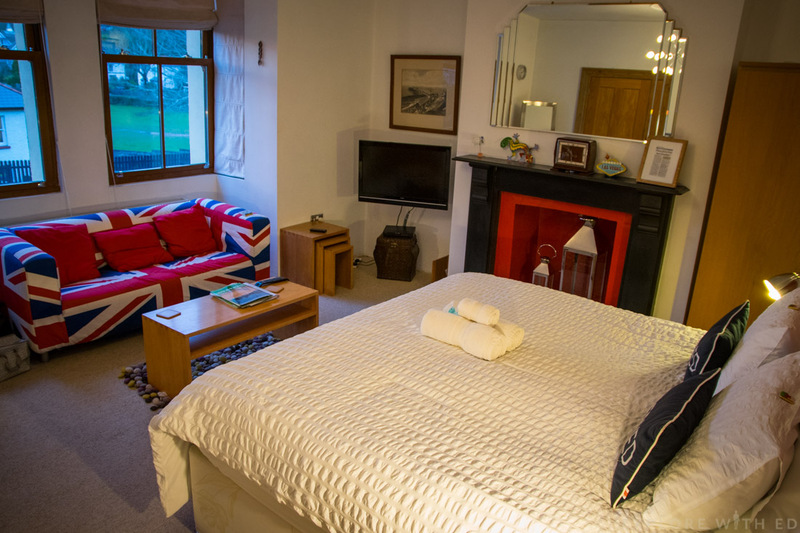 I’m not well accustomed to Bed & Breakfasts and usually opt for hotels, however I was really pleased and surprised by our experience and wouldn’t hesitate staying here again. 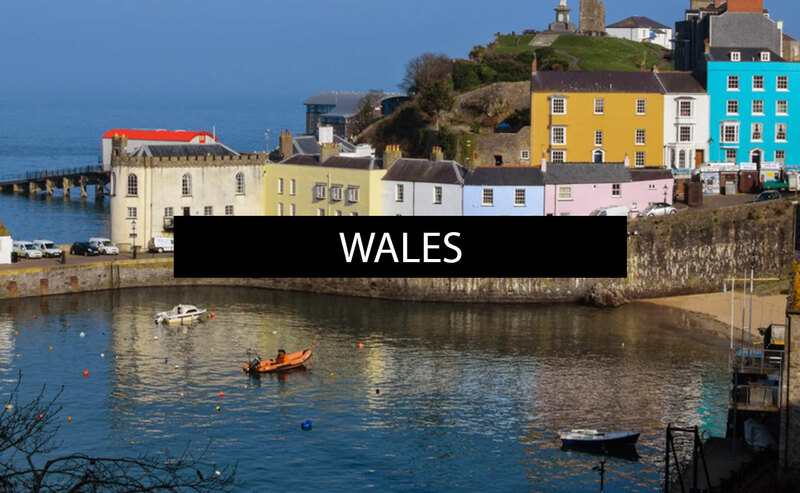 Located just off Newton Road shops, it’s perfectly positioned for access to local attractions like Oystermouth Castle and Caswell Bay. Our rooms were generously sized with stylish and modern furnishings. We also enjoyed a cooked breakfast and the warm hospitality of owners David and Giles, see my review by clicking here. 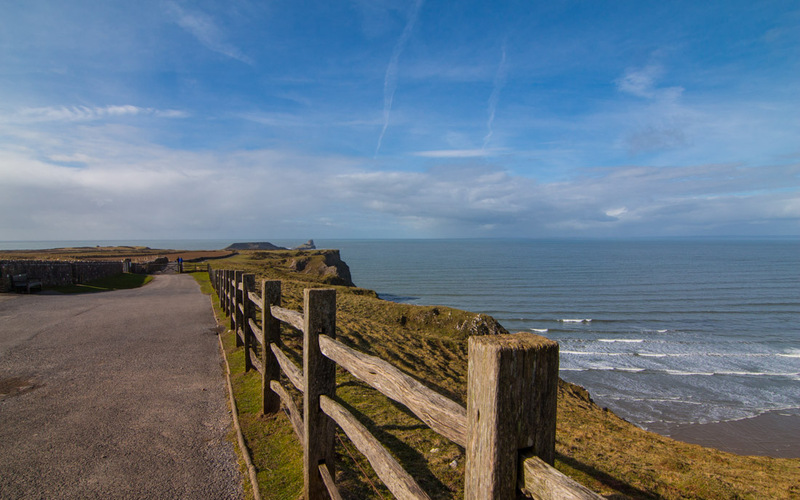 Following our relaxing stay we headed south for Rhossili bay. It’s been a while since I visited this beautiful beach and I was so excited to see the skies begin to clear on our way down. Looking across the bay and down to worm’s head is just spectacular and I could’ve happily spent the whole afternoon admiring the views and watching the waves ooze onto the sand. On site parking is free for National Trust members and is £4 all day for non members. 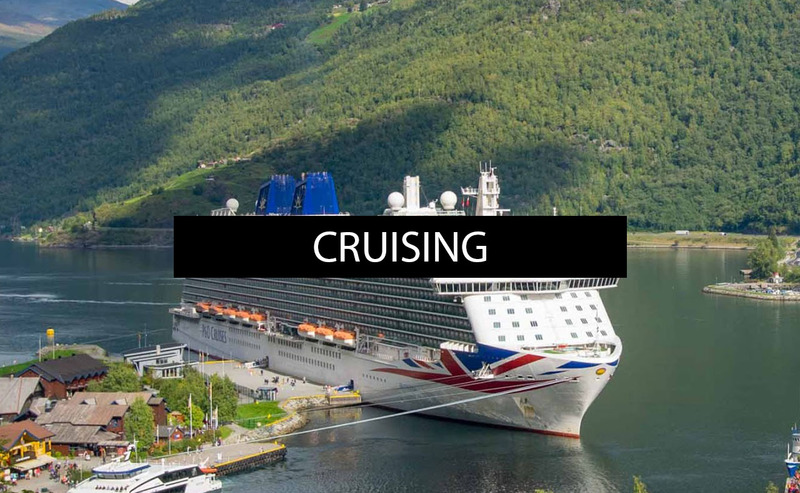 We pulled ourselves away and headed back in land to Reynoldston where you’ll find The King Arthur Hotel. This charming country inn offers a fantastic selection of pub classics like Welsh Beef Lasagne, Local Butcher Sausages and Faggots, as well as an extensive daily specials board. The staff were very welcoming and recommended trying locally brewed ales such as Gower Gold. After a fresh early spring walk, the crackling wood burners and cosy country furniture made for a perfect lunch stop. 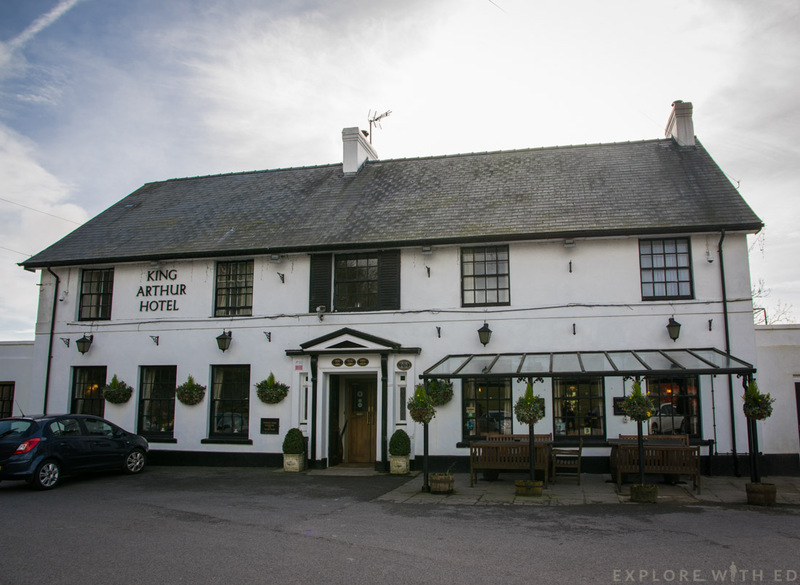 Of course you can also stay at King Arthur Hotel in of their eighteen rooms or onsite cottage (overlooking a groomed garden and pond). After fuelling up on food fit for Royalty, we headed back into the city to LC Swansea, the city’s leisure centre complex. 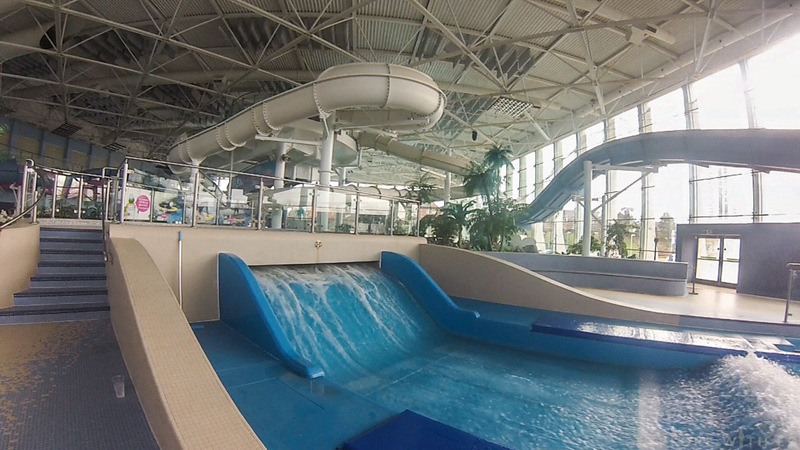 Inside you’ll find a play centre for children, café, rocking climbing wall, swimming pools, slides and a flow rider. We were both nervously excited to experience the flow rider, an indoor surfing simulator under the guide of an instructor. It was a fun experience to conclude my Swansea Bay adventure, and I was surprised how quickly we both picked it up after a twenty minute lesson! 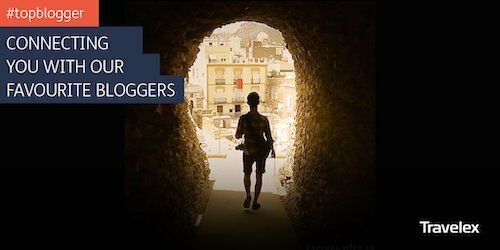 If you’ve followed some of my previous blogs you’ll see I’ve featured flow riders before onboard Royal Caribbean ships (click here to view). Thank you Visit Swansea Bay for a fun trip, we didn’t want to leave and look forward to returning soon! 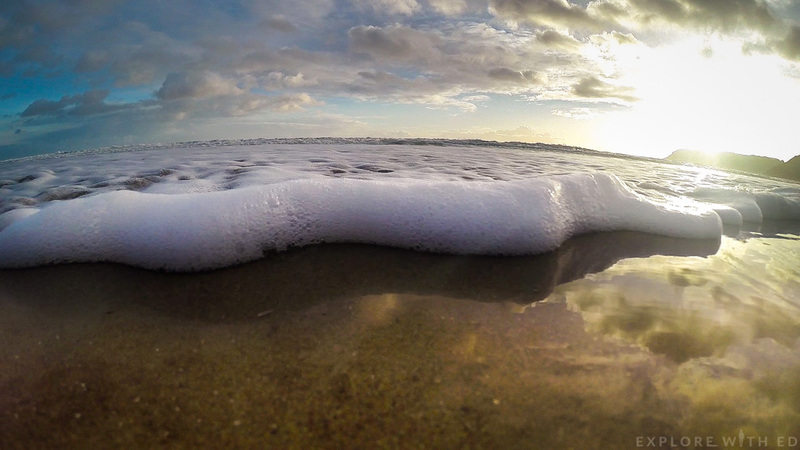 Have you explored Swansea Bay or have plans too? Let me know in the comment section below or on social media. 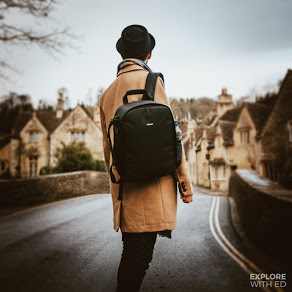 You’re welcome to pin the image below and visit my city breaks section for more UK travel inspiration. 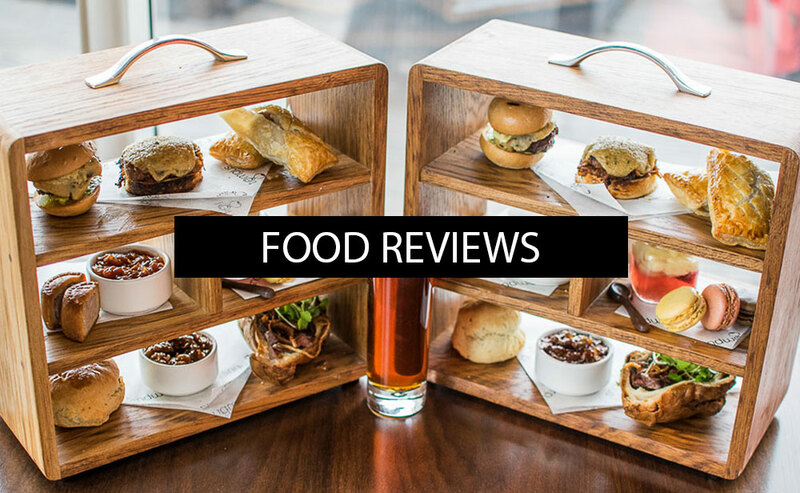 Disclaimer: Our experience was provided courtesy of Visit Swansea Bay, however I was not obliged to write a positive review. 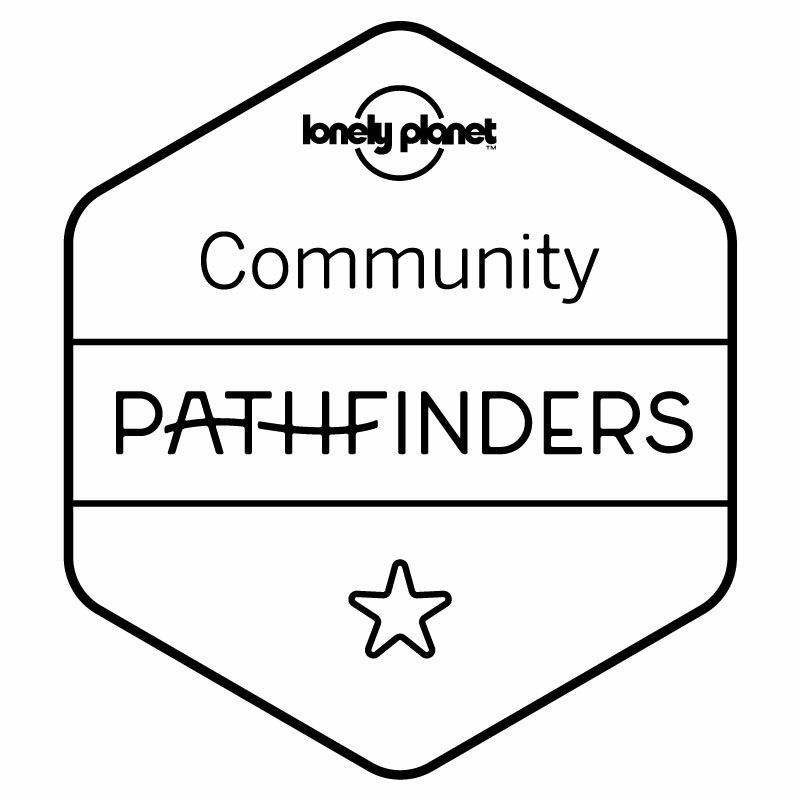 External links provided as a reference/for your convenience.